Today is International GM’s Day! 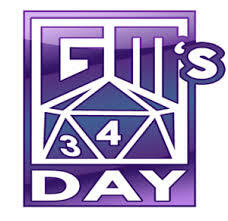 Since 2002, this day has been set aside to commemorate the hard work that your friendly neighborhood game master puts in to make your game the excellent experience that it is week after week. It is also the anniversary of the death of E.Gary Gygax, grandfather of Game Mastering and Father of Dungeons and Dragons. Game mastering can often be a thankless job with many long hours. Adventures are plotted. Props are made. Sessions are logged. It’s a lot of work to keep things going for a campaign. So do a little extra for your poor, old GM. Munchkin a little less. Sharpen her pencils. Share an extra slice of pizza. Thank her for her time and herculean efforts. You’ll be glad you did.